PROTECT IMMIGRANT FAMILIES. DEFEND OUR VALUES. TURN THE TIDE IN TENNESSEE. Contributions to TIRRC Votes are not deductible as charitable contributions for federal income tax purposes. Enough is enough. 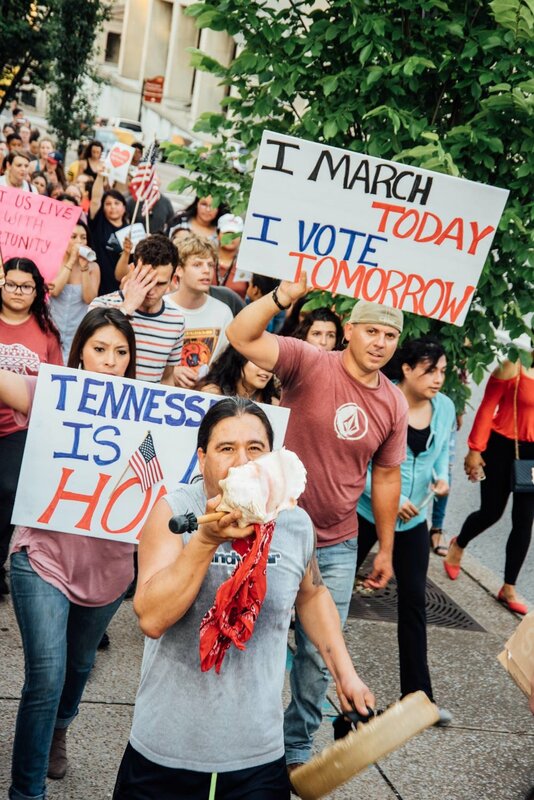 Following the massive immigration raid in East Tennessee, passage of one of the country’s most extreme mass deportation laws, state legislators suing the federal government to keep refugees out, and another cruel defeat of Tuition Equality legislation, Tennessee is at risk of becoming one of the most hostile and unwelcoming states in the nation. This is a crisis for immigrant families and our democracy. To counter the rising tide of nationalism and hate sweeping across our state and country, we must invest in long-term strategies to build real political power, support equitable and inclusive public policy, defeat anti-immigrant candidates, and elect real champions for immigrant families and progressive values. That’s why we’re launching TIRRC Votes. In order to launch TIRRC Votes and powerfully engage in the November 2018 elections, we need to raise $150,000. Will you donate today to help build TIRRC Votes? Stay connected with TIRRC Votes.